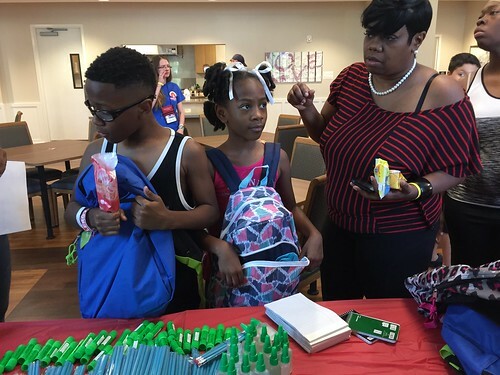 The Max and Lorayne Cooper East Wing was full of fun Wednesday, July 25 as Ronald McDonald House Charities of Alabama guest families celebrated at the Back to School Extravaganza. After “shopping” for school supplies donated by Humble Hearts Worship Center in Pell City, families enjoyed ice cream treats and face painting with Chilly’s, LLC. The most popular treat seemed to be the Sponge Bob Squarepants ice cream pop! Our special guest was former Crimson Tide football player turned UFC fighter Eryk Anders. He and his family visited with RMHCA families and really made them feel special. The night was topped off with a delicious homemade dinner from the Hale family. It was their first time cooking a meal at the House and we hope they enjoyed serving everyone. RMHCA is so grateful to the Anders family, the Hale family, Chilly’s LLC and Humble Hearts Worship Center for making this night so much fun. 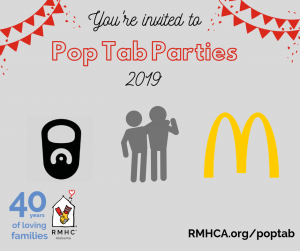 These events are a great chance for families to socialize together after a busy day of doctor’s appointments or visiting their child in the hospital.